Internal linings with supreme chemical resistance. 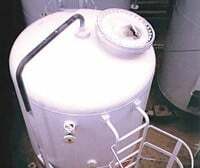 Repair systems to rebuild tanks that suffer from significant wall loss or leaking seams. External coatings that offer superb corrosion protection, including systems for minimal preparation where abrasive blasting is prohibited.